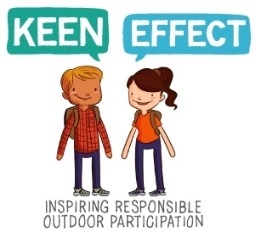 Portland, OR – November 4, 2013 – KEEN is unveiling The KEEN Effect a, fan-activated grants program designed to support projects that fuel people’s passion for protecting the environment and promoting responsible outdoor participation. This new chapter in KEEN’s commitment to give back is unique in that it puts the brand’s fans at the center of the funding process. Fans and customers are being asked to nominate organizations in their communities who are doing great work providing ways for people to get outdoors with the goal that the regional Nonprofit organizations receiving funding through the KEEN Effect will multiply this passion for the outdoors though their work inspiring thousands more to get outside and responsibly enjoy our outdoor spaces. Inspired by a love of the outdoors, KEEN Inc. manufacturer of hybrid outdoor and casual products, including footwear, bags and socks, is dedicated to creating quality products that support the lifestyles and outdoor adventures of active people around the world. KEEN products can be found online and through more than 5,000 retail locations in more than 60 countries, as well as in KEEN Garage retail stores in Portland, Palo Alto, Tokyo, Prague and Toronto, where fans can enjoy the branded experience. The company operations and culture reflect a stand-out commitment to building a strong community and a healthier planet so that all can create, play, and care. Learn more at www.keenfootwear.com.